Danny is a Paralegal of the Derek Smith Law Group in New York City. 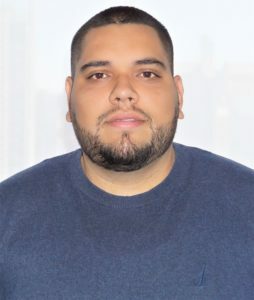 He is a graduate from the John Jay College of Criminal Justice and brings with him over 5 years of experience in the legal field. He first cut his teeth working for a boutique Immigration Law Firm in New York City, where he learned the ins and outs of the arduous Immigration process and procedures. After a brief stint working in Defense Litigation, Danny is back fighting for the individual rights of the upstanding people of the Greater New York area and helping those in their greatest time of need is his passion and priority. When he is not in the office, Danny enjoys traveling and exploring all corners of the globe with his family. Danny is fluent in Spanish (HABLA ESPAÑOL) and ready to take on the world, one case at a time.